In an exclusive partnership with North American company Skytypers Inc. the Yakovlevs are now able to deliver the world’s foremost aerial advertising medium. We take five of our team aircraft to 10,000ft and assemble in line-abreast formation. 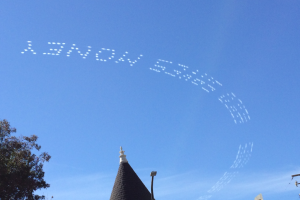 Our leader puts the formation directly overhead your target audience and on command we activate our patented typing system and a signal is sent to each aircraft to emit a pulse of smoke. 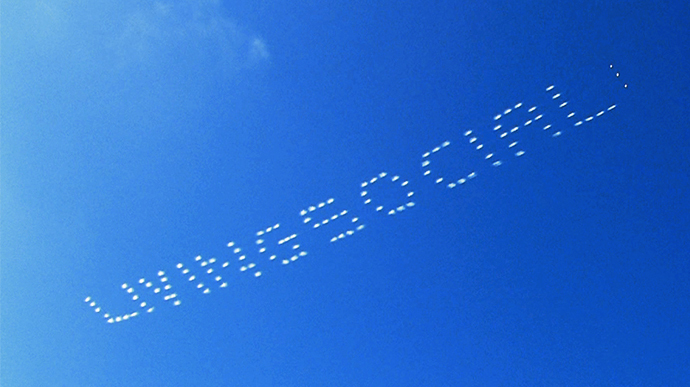 The pulses creates characters which in turn creates your unique Sky Billboard™ message. The average time to Skytype™ a character, the size of the Empire State Building, is only four seconds. The hang time for an average five-mile long (20-25 characters) Sky Billboard™ is three to seven minutes (dependent on prevailing winds). 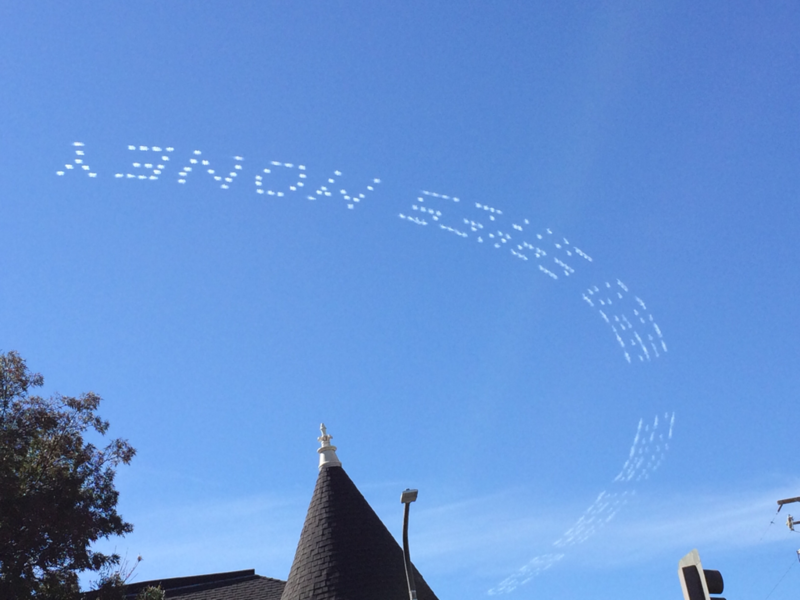 Skytyping™ is 1,000 times larger than any road sign or aerial billboard, and it is custom placed over your specific target area/event to provide maximum impact. 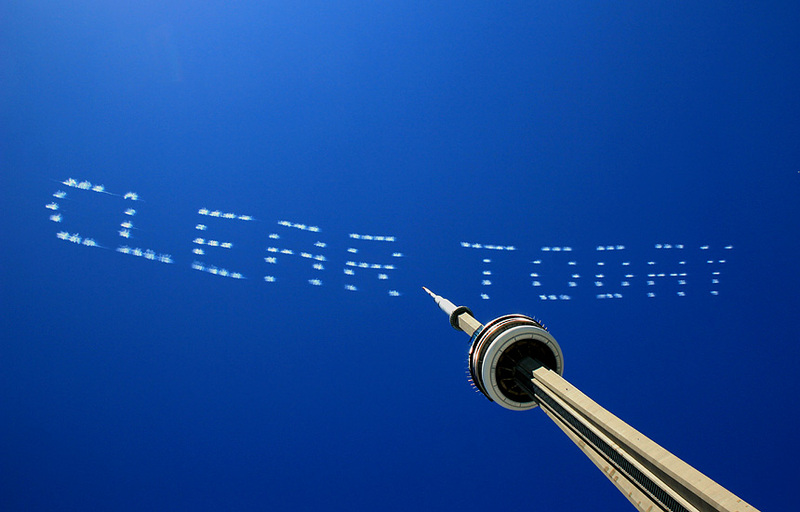 We can Skytype™ for you anywhere in the world…except the UK! 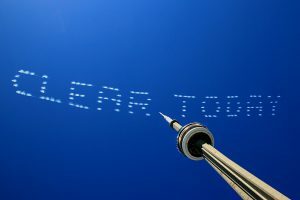 We are currently in negotiation with the UK Department for Transport to gain permission to Skytype™ in UK airspace and hope to be able to announce the good news in the very near future. 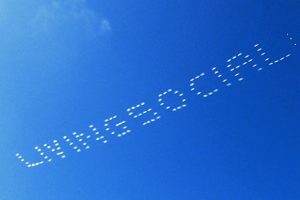 In the meantime, please keep an eye on our website, our social media networks and the national press to learn when Skytyping will visible in Britain’s skies. For more information on Skytyping™ please download our brochure and contact us to discuss your specific requirements.